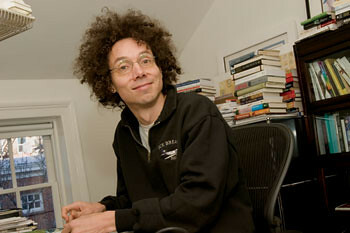 Would somebody send Gladwell back to cool-hunting? Insofar as “defense” implies an argument or justification for something, the article is nothing of the kind. Rather, it is a perfect specimen of the sort of fuzzy-headed, attention-mongering contrarianism that frequently pops up at Slate, and that has, for the past several years, leaked from the pens of Caitlin Flanagan and David Brooks into the pages of our nation’s most esteemed periodicals. The article is so patently ridiculous, in fact, that I was prepared to ignore it. Until I noticed that the libertarian sector of the blogosphere has erupted into a chorus of hosannahs. Did anyone even read this thing? Skilling would serve two hundred and ninety-two months in prison — twenty-four years. The man who headed a firm that Fortune ranked among the “most admired” in the world had received one of the heaviest sentences ever given to a white-collar criminal. He would leave prison an old man, if he left prison at all…. [A] small adjustment in his sentence would keep him from spending the rest of his life among hardened criminals. Cry me a bloody river. Contrary to Gladwell’s insinuations, the defendant was tried and sentenced of fraud, in a court of law, in accordance with the laws on the books. The prosecution did not manufacture some unhinged, ex post facto theory to torment poor Mr. Skilling (or to prevent his enjoying twenty-four years of fine wine, and golf games). A quick Enron recap: More than $1 billion in employee pensions disappeared; investors suffered over $30 billion in losses. The SEC, and others, investigated. Prosecutors charged that the defendant lied, that he conspired with others to lie, and that he engaged in and profited from insider trading. The jury found him guilty. The standard of proof in a criminal trial is beyond a reasonable doubt. There was ample evidence, including testimony from former fellow Enron officials, to support the verdict. Pardon me if I don’t see the miscarriage of justice here. But Gladwell’s inept Monday-morning-quarterbacking of the trial looks pretty good by comparison with the further thrusts of his article. It is difficult, granted, in a piece so poorly constructed — in which a governing assumption is that inquiries into the fiscal health of a corporation are properly comparable to Nazi-era counterintelligence efforts — to discern precisely what points the author thinks he’s making. But the overarching premise is this: some things are puzzles, and some things are mysteries. If things go wrong with a puzzle, identifying the culprit is easy: it’s the person who withheld information. Mysteries, though, are a lot murkier: sometimes the information we’ve been given is inadequate, and sometimes we aren’t very smart about making sense of what we’ve been given, and sometimes the question itself cannot be answered. Puzzles come to satisfying conclusions. Mysteries often don’t. Also mysteries, under the classification scheme proposed by our latter-day transcendentalist: (1) what Nazi propaganda signified about Germany’s war plans; (2) a diagnosis of prostate cancer (which apparently has transformed from a puzzle to a mystery); and (3) Enron. Not only is Enron a mystery, it is, according to Gladwell, one that any fiscal analyst with one eye and half sense would have been alerted to on a line-by-line parsing of the company’s voluminous filings and other public documents. And then they could have called up Skilling and friends, who would happily have put their chief accounting officer and six other employees on the first plane to Dallas to flesh out the details. So the problem is not lying. It’s not manipulation, obfuscation or insider trading. It’s not burying confusing descriptions of empty transactions in footnote #4,275. No, my friends, the problem is that we have too much information! And the other problem is that there weren’t enough knowledgeable intermediaries, “as Enron’s business practices grew more complicated,” to enable Wall Street to meet its “responsibility to keep pace”! “Because if you can’t find the truth in a mystery — even a mystery shrouded in propaganda — it’s not just the fault of the propagandist. It’s your fault as well.” Here Gladwell has returned to his intelligence-gathering-during-WWII analogy. Does anyone else find it odd that a cultural critic would compare, with no apparent sense of irony, the activities of the Nazis with the financial maneuverings of corporations, in a free-market defense of the latter? It’s true that a corporate entity is amoral. It exists, by its very nature, for the purpose of turning a profit. The law treats corporations as individuals, when in fact the largest among them stretch across continents, and are incredibly complex institutions susceptible to all manner of schemes that their directors and officers may dream up. Thus the justice system, which determines when corporate profiteering veers into fraud. Thus prison sentences, which apply to the corporate thief as well as the armed robber. Thus the importance of ensuring that government agencies are given the power and funding to engage in effective oversight. And thus the new SEC filing requirements — which, of course, are already being eased back, possibly paving the way for the next Enron. A friend points out that Gladwell’s piece is the inevitable result when a writer who has — literally — made a career out of hailing superficial first impressions and banal fads as the height of human endeavor tries to reckon with serious wrong-doing that has serious real-world consequences. Somebody put this guy back on the cool-hunting beat, pronto. Image taken from the APS.